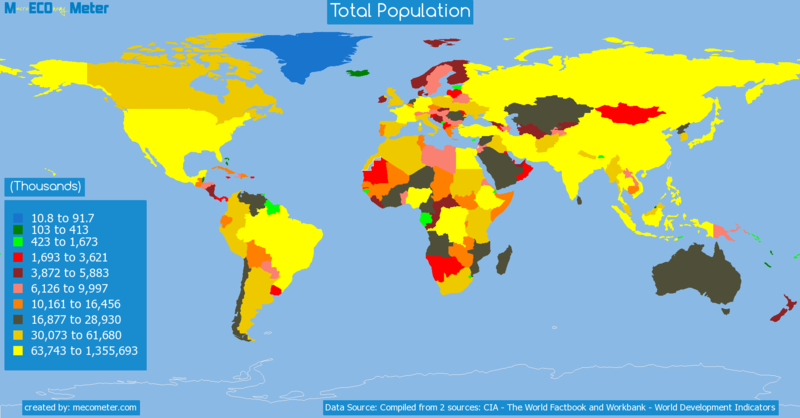 Value & RankThe Total Population of Ecuador is 15.7 ( millions of ) with a global rank of 66. 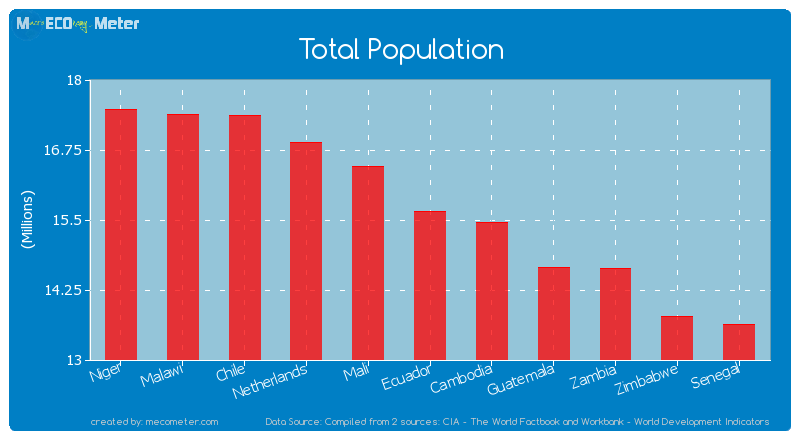 Ecuador compared to other CountriesThe Total Population of Ecuador is similar to that of Niger, Malawi, Chile, Netherlands, Mali, Cambodia, Guatemala, Zambia, Zimbabwe, Senegal with a respective Total Population of 17.5, 17.4, 17.4, 16.9, 16.5, 15.5, 14.6, 14.6, 13.8, 13.6 ( millions of ) and a global rank of 61, 62, 63, 64, 65, 67, 68, 69, 70, 71.10 years growthEcuador's Total Population had a positive growth of 15.7 (%) in the last 10 years from (2004 to 2014). 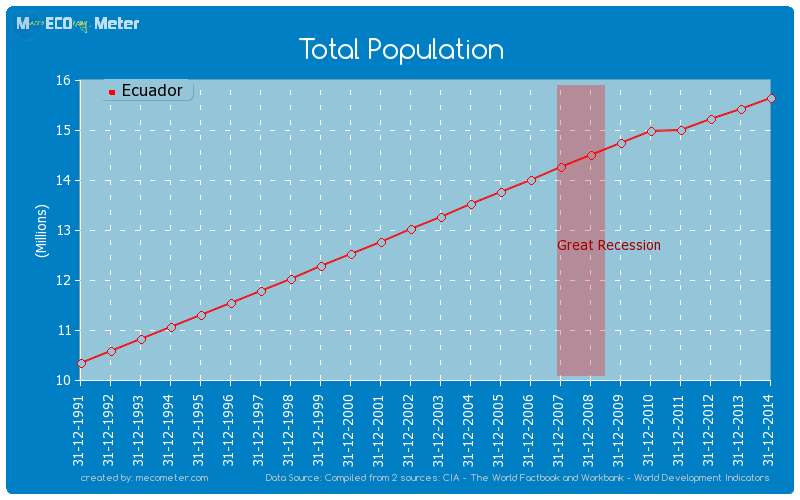 Last 10 years averageEcuador had an average Total Population of 14.7 ( millions of ) in the last 10 years from (2004 to 2014).